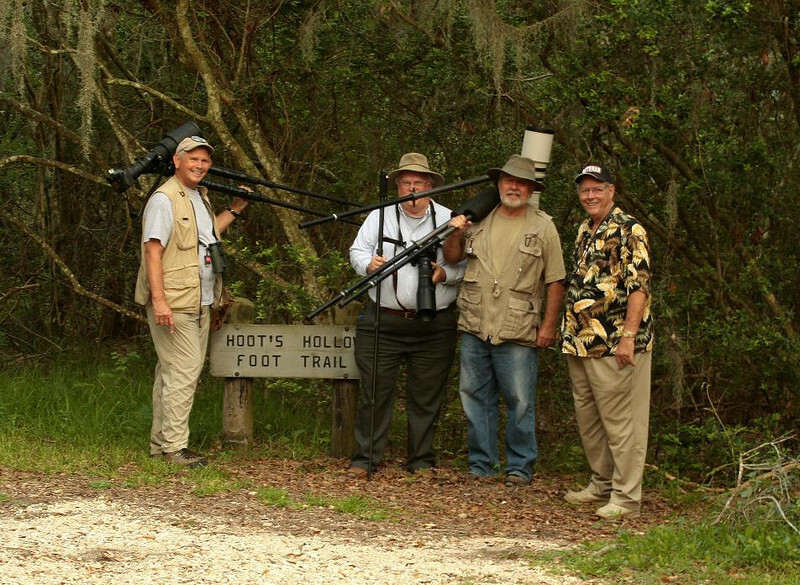 Shown, from left, are Wayne Wendel, Aubrey Cruse, Jim Kelly, and Ken Coleman at Brazos Bend State Park, May 27, 2009. The photo is blurry 'cause the photographer did not have one of those cool tripods pictured! If I saw these guys coming down the trail, I'd to what the birds do, leave.